GE USA 6CA7 "BIG BOTTLE - FAT BOYS"
The Legendary 6CA7 "BIG BOY" by General Electric USA. 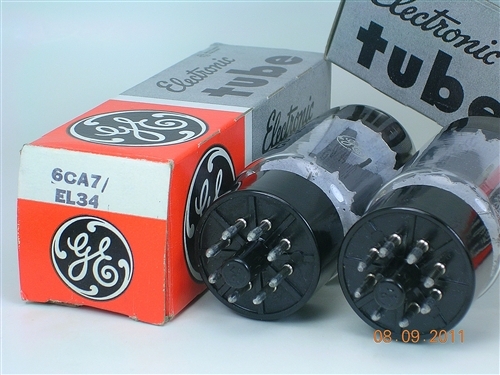 These top-mica shields and SOLID FAT-BOY DISK GETTER RINGS are designed to "deflect" unwanted electron bombardment to prevent cathode-poisioning. They work as a deflector-shield and help the tube achieve its correct operation point and last longer and operate cooler. "...The 6CA7 is the American version of an EL34. 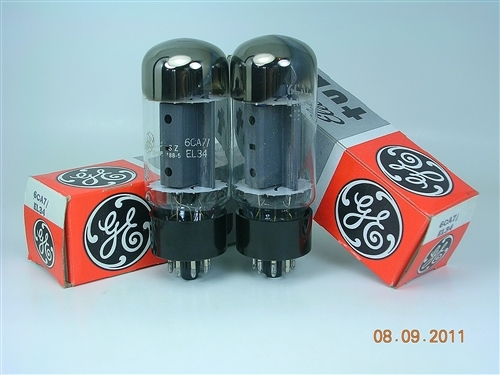 Although the electronic values of both of the tubes are almost identical, they hardly sound the same. Described as a phenomenal sounding EL34, one of the most rugged Big-Bottle EL34's ever made, recommended, clean, and powerful. These fat boys have a super polished and refined top end. The two main original manufacturers were GE and Sylvania. They made what was called the "Fat Boy" series of tubes. These tubes have over sized glass bottles. They also have twin solid-disk getters. 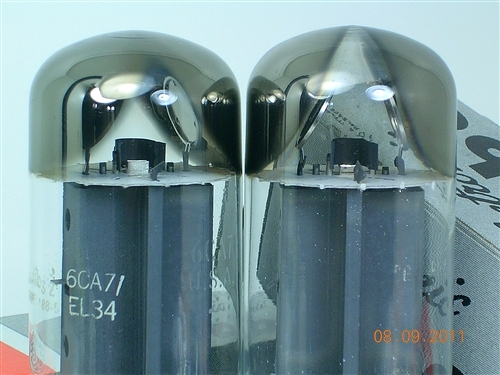 The getters are a part of a tube used to keep it clean inside and free of unwanted gasses. Also, the tube is rated at a massive 800VDC. To me, they sound more like a KT88. They have a fat bottom and clear, bell chime highs. They don't break up as soon as an EL34 (same as a KT88). They take an OD or distortion pedal in the front end very well. I would say that they can handle all styles of music..."
"... 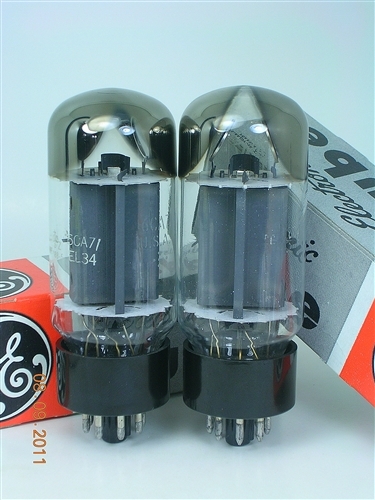 This tube is known for excellent performance, incredible bottom end, rich liquid midrange, outstanding highs. Described as a phenomenal sounding EL34, one of the most rugged Big-Bottle EL34's ever made, recommended, clean, and powerful. These fat boys have a super polished and quite refined top end. A Major improvement over other 6CA7's. 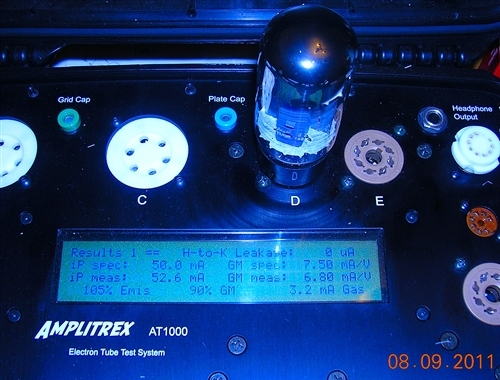 Get rid of those Chinese or Russian 6CA7's and UPGRADE to GE USA - which are Superior by far to Svetlana or Sovtek 6CA7"
TESTS 54.0mA/52.6mA (108%/105%) @ Lethal 500 Volts!